Myself and the board have felt it necessary to release a statement to address recent home fixtures having to be played at Parkside, home of Aveley Football Club. Firstly, I would like to thank all fans for being understanding during this difficult time and making the journey with us to Parkside to support the team. Thank you also to Craig Johnson and Aveley Football Club for helping us with this matter and making us feel at home. I must primarily draw everybody’s attention to the back log of fixtures that we are all having to deal with due to our earlier success in the season, teamed together with the poor weather we have been experiencing more recently. Had we played 38 or 39 league games already it wouldn’t have been an issue to call off games and wait for the pitch to dry, but we still have 12 games left to play in under 4 weeks, and with the prospect of playing on consecutive days becoming a real prospect, we have been forced to take these drastic measures of moving our home games to ensure that the fixtures are played. The League simply cannot extend the season. We have few options available for Monday’s fixture against Tonbridge Angels if the weekend’s weather is as bad as forecast and the AGP Arena is unplayable . The first option was a 1pm Kick Off at Parkside, Aveley, however Tonbridge Angels declined to agree to make this adjustment to the fixture, therefore the Isthmian League have imposed a decision onto us that if we cannot get the game on at the AGP Arena due to the weather on Monday, the fixture will be played at 7.45pm on Tuesday 3rd April at Parkside, Aveley. 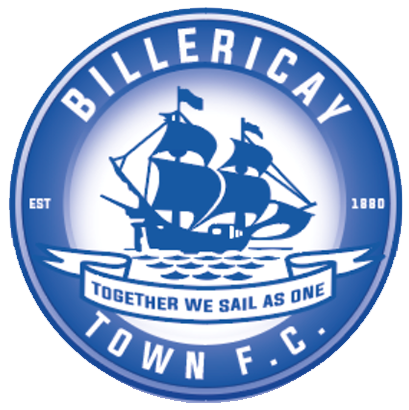 Our preferred option would have been to be host the game on Monday at Aveley, However, all adjustments in fixtures must be agreed by our opponents and for reasons that we have not been made aware of, an early kick off on Monday wasn’t agreeable with Tonbridge. We thank you all for bearing with us in what is proving a very challenging time for us all. Spot on decision. But obviously something to consider for next season. Shame Tonbridge won’t help out. But not surprised Same old Tonbridge. am i right in saying the club could not get permission last summer to put down a 4G pitch? Does this mean Basildon Council will do all they can to hamstring any attempt the club try to make for improved playing and supporter facilities. Keep doing your best COYB!! Hi Dan. Do you know what’s happening re the sponsor’s do which was supposed to be hosted at the AGP after Monday’s game? Keep going all, let’s win all we can, we sail as one!!! !